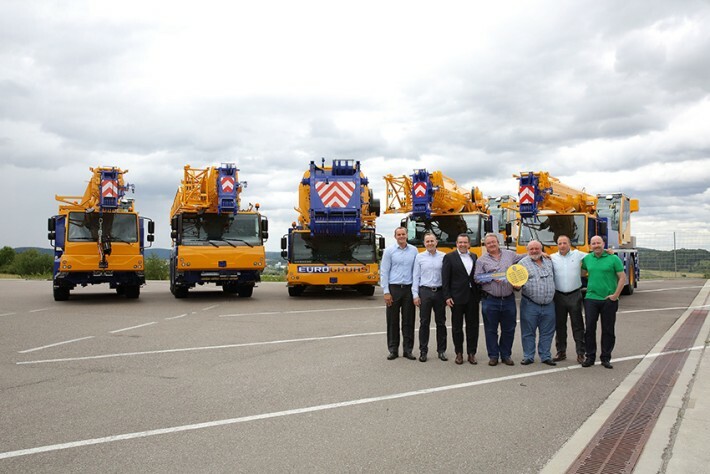 A delegation from the Eurogruas Group visited the Liebherr Plant in Ehingen in July to take receipt of five of the nine new cranes. The order comprised two LTM 1040-2.1 models, two LTM 1060-3.1, one LTM 1070-4.2, one LTM 1095-5.1, two LTM 1300-6.2 and one LTM 1500-8.1. The Eurogruas Group ordered the cranes to modernize its fleet at its various outlets in southern Spain.